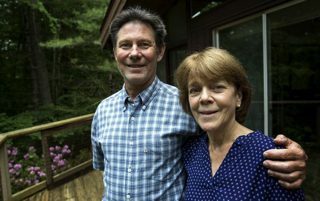 In articles in both the Washington Post and Kaiser Health News, you can read about Doug and Bea Duncan, two of our Parent Coaches. “As Opioid Crisis Rages, Some Trade ‘Tough Love’ For Empathy,” details how they addressed their son’s opioid use, first with an ultimatum and later, using the Community Reinforcement and Family Training approach, also known as CRAFT. They joined the Partnership’s network of Parent Coaches, becoming trained in CRAFT, which promotes a healthy, compassionate form of communication for encouraging a loved one to seek treatment. The articles also explored our collaboration with the Grayken Center for Addiction at Boston Medical Center. Our partnership aims to extend the reach of direct services provided to families who are affected by a loved one’s substance use. Parents residing in Boston will be trained through the CRAFT model to ensure that more families are encountering a loved one’s substance usage with compassion and understanding, as opposed to an overwhelming “tough love” approach.